Does Basque animation cinema exist? Sure it does. Then why don’t we know about it? Maitane Junguitu Dronda is a PhD candidate at the department of Audiovisual Communication and Advertising at the University of the Basque Country (EHU-UPV). She currently lives in Reno, and does her internship in the Jon Bilbao Library. Her research area is Basque animation in the cinematographic industry. Maitane`s lecture started out with the questions above, and revisited the most important episodes and figures in the development of Basque animation, with special attention to the vulnerable position of animation among the genres of cinematography. In spite of the fact that we socialize our children on animation, by adulthood we watch less of it, which is why the genre struggles to survive in both its short and feature film formats. Maitane distinguished between two approaches. 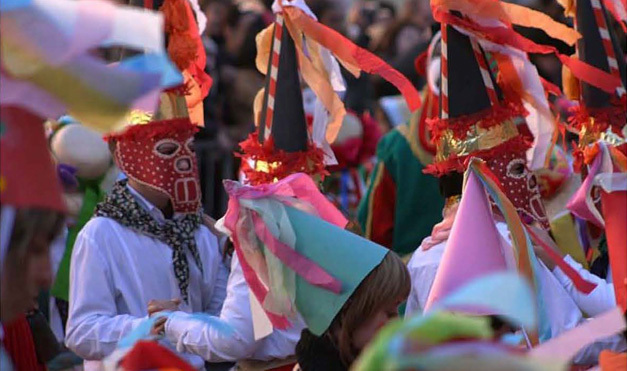 Experimental animation marked the evolution of this genre in the Basque Country, used traditional methods of painting, and its main representatives were Balerdi and Sistiaga. Commercial animation developed through the foundational work of Juanba Berasategi. Maitane highlighted that, while several analyses have been published in recent years about Basque cinema, animation is painfully neglected at best, and totally absent at worst. She emphasized the role of governmental programs such as Kimuak, initiated by the Basque Government, to select, promote and disseminate the products of Basque cinematographic industry. Kimuak, of which the Center for Basque Studies will publish a monograph next year, features several animation short films, some of which have earned extraordinary success. We briefly feature here two works by Begoña Vicario and Isabel Herguera. Begoña Vicario is a most seminal figure of Basque animation not only because of the works she produces, but also because she teaches the new generations of animation at the University of the Basque Country. Vicario`s experimental animation addresses social themes such as organ traffic or common graves. Her stories are born from personal experience that push her to tell a story. Her visual imagery is characterized by a search for constant movement, textual metamorphosis, and it is combined with intense soundtrack. The objective of her work is to explore emotions. Her animation Ask For Me (1996) won the Goya Award (something like the “Spanish Oscar”) for Best Animation Short Film in 1997. Watch it here! Isabel Herguera`s visual style recovers the spirit of the schematic era of children`s drawing. It is through this innocent imaginary that she narrates profoundly human stories about blindness, madness or AIDS, and she does so as if they were a trip to another world. Her Blindman’s Bluff (2005) was nominated for best animation short film at the Goya Awards in 2006. Watch it at the link below! Ione Hernández takes inspiration from an anecdote that film maker Luiso Berdejo told her from his childhood. In this story, she reflects about the belief in the weight of destiny, and the possibility of freeing oneself from it. Lying in bed, Laura (María Vallesteros) is writing a letter to Adrián (Daniel Grao), her former boyfiend, from London. A poetic flashback takes us back to the childhood of the main character (César de Juan) and his sister Helena (Elisa Drabben), who travel in a car with their parents. To entertain them, the father (Álex Pastor) proposes a game: the next boy or girl that they see will be their future husband or wife. Roberto approaches with his scooter and passes by the car. Helena protests angrily because she doesn`t like the boy. Adrián`s look meets with that of Laura, a girl who is older than him. The action then returns to the present. We are a minority. There are very few female directors. Besides, it seems like men`s stories generate more interest at the structural, thematic and other levels. It is difficult to direct, whether you are a man or a woman. But for us women it is a bit more complicated. If you want to direct, become a mother, and find fulfillment in life, you must make great sacrifices because of the time it requires from you. I am essentially a defender of good cinema. When you make a film, you express something very much from within. And if you are a woman, there will be an important part of this essence or this quality that will stay in your work. It is impossible not to appreciate feminine elements in the work of a woman. Nevertheless, there are also men who have this feminine quality, and women who are very masculine. In artistic creation, you have to connect rather more with your emotional side. At the end of the day, creation takes place on the basis of emotions. On March 19, 1367, what came to be known as the Battle of Inglesmendi (the English Mount) near Ariñez/Ariñiz in Araba took place. Here, once again in history, the Basque Country was the site of a broader conflict that even drew in European powers. Araba had been part of the Kingdom of Castile since 1199 and this was an episode in the Castilian Civil War, a war of succession in the period 1351-1369 that ultimately became part of a larger conflict then raging between England and France, the Hundred Years’ War (1337-1453). Basically, England supported the succession to the Castilian throne of the reigning monarch, King Peter, the Cruel, while France supported (tacitly rather than officially) the candidacy of his illegitimate brother Count Henry of Trastámara. Edward, the Black Prince. Courtesy of Wikimedia Commons. Throughout March, Henry’s forces, including significant Aragonese noblemen and French free companies led by the Breton knight Betrand du Guesclin, engaged their counterparts on the side of Peter, a similar mercenary force made up principally of English and Gascons and led by Edward of Woodstock, the so-called Black Prince, the eldest son of Edward III, King of England. Henry’s forces were adept at the use of guerrilla tactics against the superior numbers of the Black Prince. Henry II of Castile, from La Virgen de Tobed by Jaume Serra. Courtesy of Wikimedia Commons. In the Inglesmendi encounter, a vanguard of Henry’s army formed by jinetes (Castilian light cavalry) had wiped out a detachment of the Black Prince’s army and then headed back to their base. On their way, they met with an exploration detachment of the Black Prince’s army. After suffering many casualties, the Black Prince’s troops entrenched in a nearby mountain, where English longbowmen resisted Henry’s Castilian light cavalry. The cavalry then changed tactics; its French and Aragonese horsemen dismounted and attacked as infantry, winning the battle, and taking many prisoners. Thereafter, the mountain would be known as Inglesmendi (the English Mount, in Basque). Battle of Nájera with the Black Prince and Peter the Cruel allied (to the left of the image) against Henry II of Castile and the French. 15th century Jean Froissart’s Chronicles (Bib. Nat. Fr., FR 2643, fol. 312v). Courtesy of Wikimedia Commons. It was a surprise defeat for the Black Prince, hitherto considered invincible. However, while his forces were temporarily demoralized by the setback, he ultimately recovered, and with broader political events favoring King Peter, he ultimately defeated Henry’s troops at the Battle of Nájera in La Rioja on April 3. That said, Henry himself managed to escape across the Pyrenees and continued to fight Peter. Moreover, Peter lost the support of England on account of his non-payment of dues for the assistance offered, was isolated internationally, and was eventually killed by Henry at the Battle of Montiel in 1369, resulting in Henry II assuming the throne of Castile. A bus driver thinks that a junkie he used to see regularly has died. He regrets not having helped her. But soon she shows up again. Have a great Tuesday with a Kimuak short! Aitzol Aramio`s Terminal is an unhappy love story spoiled by the prejudices of the main character, a man who works at the ticket booth of a bus company (Miguel Ángel Solá). He falls in love with a young junkie (Blanca Oteyza), whom he sees every night on the bus that takes her from work, a night club, to home. This story is full of tenderness and subtlety. It is centered on the profoundly human, kind-hearted and transparent character of the drug addict, and shows the cowardice of the man who gives more importance to the woman`s past than the possibility of a future with her. While the masculine character does not evolve, the young woman undergoes a profound transformation throughout the story. The concept of movement, of progress is materialized through the bus trip. The vehicle represents the crossroads of everyday existence where everyone takes a direction. In case of the woman, it symbolizes the path towards redemption, and the struggle to be happy. Bilbao`s Termibus ticket booth marks the turning point of this personal pilgrimage: the initial hell, and then that of the arrival, and the man`s rejection. Fortunately, the ending makes it clear that in spite of the pain, the young woman embarks on a new journey by herself. He however is anchored to a station from which he will never move. His existence is limited to observing the journeys that other people take every day. And like everything in life, this choice has a price: loneliness and melancholy. Under the day`s light, the bus runs around the city. Taciturn, the clerk grabs the bar with both hands, and his little finger keeps searching for the woman. But it is now too late. His incapacity leads him to regret things twice. Ultimately, beyond the tender story of impossible love, the short film reflects about the distinctive positions people take before life. It criticizes a society where those who are stagnant look at the world from behind a watchtower, from a moral high ground, and do nothing to help others in their transformative journeys. Their inaction turns them into an example of virtue, when in fact they are cowards and egoists who feel nothing, and suffer nothing. On March 5, 1937, the Battle of Cape Matxitxako took place off Bermeo, Bizkaia, during the Spanish Civil War. It was a naval battle between the Spanish heavy cruiser Canarias in the service of Franco’s military rebels and four pro-Republic Basque armed trawlers escorting a convoy. The trawlers were protecting the transport ship Galdames, which was sailing to Bilbao with 173 passengers. They were confronted by the rebel cruiser Canarias off Cape Matxitxako. Cape Matxitxako off the coast of Bizkaia. Photo by Telle. Courtesy of Wikimedia Commons. On March 4, the four Basque trawlers–the Bizcaia, Gipuzkoa, Donostia, and Nabarra–departed the port of Baiona in Lapurdi with the aim of escorting the Galdames, which besides passengers was also carrying mail, machinery, weapons, supplies, and funds. The first engagement between the two sides took place on March 5, some 20 miles north of Bilbao. The Canarias fired first, hitting the Gipuzkoa, which in turn retaliated. The other trawlers attempted to maneuver the Canarias closer to the shore, from where their ground support could more easily strike it. All the while, their aim was to keep the Canarias away from the Galdames by engaging directly with the rebel ship. The Donostia withdrew after being hit, but the Nabarra continued to engage the Canarias directly. She was eventually hit and came to a halt; 20 men abandoned the sinking trawler, while another 29 were lost with the ship, including her captain, Enrique Moreno Plaza. Ultimately, the Galdames was hit by a salvo from Canarias, lost four passengers, and was captured by Franco’s cruiser. The 20 men who abandoned the ship were rescued and taken aboard the Canarias. You can download Modern Basque History for free here. The Journal of Iberian and Latin American Literary and Cultural Studies SIBA highlights, among other sporting cultures, Basque sport and politics in its latest special issue, edited by CBS professor Mariann Vaczi. From Marxism to fascism across the ideological palette, sport has engaged politics and power in diverse ways. Nationalism, nation-building and identity construction through physical culture has become a prominent research subject for social science. Sport studies have integrated and complemented the most significant theoretical currents and conceptual toolkits of mainstream sociology, history, political science and anthropology. This special issue deploys these approaches in an Iberian and Latin-American context. The authors examine sport, nationalism and sub-national identities; colonialism and post-colonialism; race-relations and indigenous politics; sport in authoritarian regimes, and the use of sport to break with European roots in quest of South American nationhood and identities. The concept of “sport” is understood here quite broadly: activities that have competitive dimensions and/or involve strenuous, ritualized, rule-driven or choreographed physical activity. 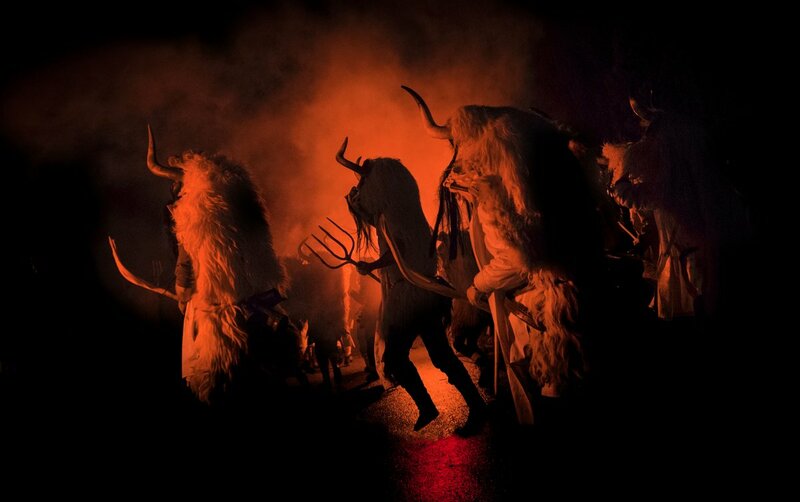 Crossbreeding sporting elements with other realms of culture such as art and ritual, as with the bullfight; or cognition and logic, as with chess; or folklore, as with human tower building, only yield more exciting and exact conclusions about their social and political embeddedness. Here’s a brief review of the contributions that have Basque relevance in national and sub-national political contexts. Never, however, had Basqueness been conceived in terms of Blackness until the first prominent black soccer player was signed by Athletic Club de Bilbao. Aquino explores the integration of Iñaki Williams in the club, and how it produced the symbolic, if not necessarily real, inclusion of African immigrant communities within Basque identity. The integration of non-white players in European national teams has gained considerable media attention for the past decade, “signaling as it does,” Aquino writes in her analysis, “the destabilization of normative white European identity.” The case of Iñaki Williams is a particular breakthrough in a club where, because of its Basque-only philosophy, the discussion of player pedigrees in Bilbao actively constructs the boundaries between Basques and non-Basques. Aquino revisits some of the special chapters of defining Basqueness through player recruitment. Each case reveals a particular idea of ethnic identity in terms of birthplace, upbringing, genealogy and national belonging have variously established ingroup and outgroup boundaries. In all its variations, however, Basque identity was white until Iñaki Williams, whose eruption in the field provoked several race related commentaries Spain and Basque Country-wide, arguing that it should be perfectly natural that Blackness and Basqueness go together. This aggressive “rhetoric of colorblindness,” however, Aquino remarks, was ultimately just as “othering:” it was precisely this loud defensiveness that revealed that Black Basqueness, instead of quotidian, remains a major breakthrough. At the height of its game in the late 1980`s, jai alai was a 700-million-dollar business a year, with 14 active frontons throughout the United States, which would routinely fill with gamblers and aficionados of the “world`s fastest sport.” González revisits the two golden ages of the Basque sport in the United States: the 1950s-60s, and the 1970s-80s. The author argues that these two eras were also a generation gap not only in terms of age, but the political culture jai alai players brought with them. Overwhelmingly from the Basque Country, sport migrants in the 70-80s responded very differently than previous generations to what the game had to offer in the United States. While the first generation of Basque players were relatively content with the socio-economic opportunities sport migration offered them, the author argues that the emergence of ETA, considered revolutionary, left wing and socialist back then, had an impact on how Basque players viewed their situation in US capitalist culture. 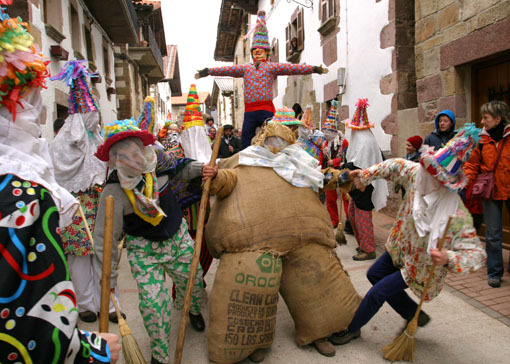 The emergent Basque political culture lent ethos and vocabulary to US based jai alai players: an ethos of resistance and struggle, the strategy of hordago or all or nothing, and deeply politicized resistance strategies like hunger strikes were borrowed from their original Basque context and deployed in the American one. These resistance strategies had great success in players` struggle for greater job security and fair treatment. Complementing qualitative and historical research, Ramón Llopis-Goig offers a quantitative analysis of soccer fandom and political sentiments with regards to the four most politicized and symbolic teams in Spain: Real Madrid, FC Barcelona, Athletic Club de Bilbao, and the Spanish national team. These teams have been major icons for Spanish, Catalonian and Basque identity construction throughout the twentieth century. Llopis-Goig explores the larger questions of regional nationalism, identity, and left vs. right political leanings through fans` self-identification, their following of the Spanish national soccer team, their preferences with regards to regional autonomy, and their left vs. right ideological orientation. According to this study based on representative sampling and a national survey, the fans of FC Barcelona are most left-leaning, and are most in favor of reforming the current state by increasing the autonomy of the region. This resonates with the larger social impetus of the current Catalonian sovereignty process. 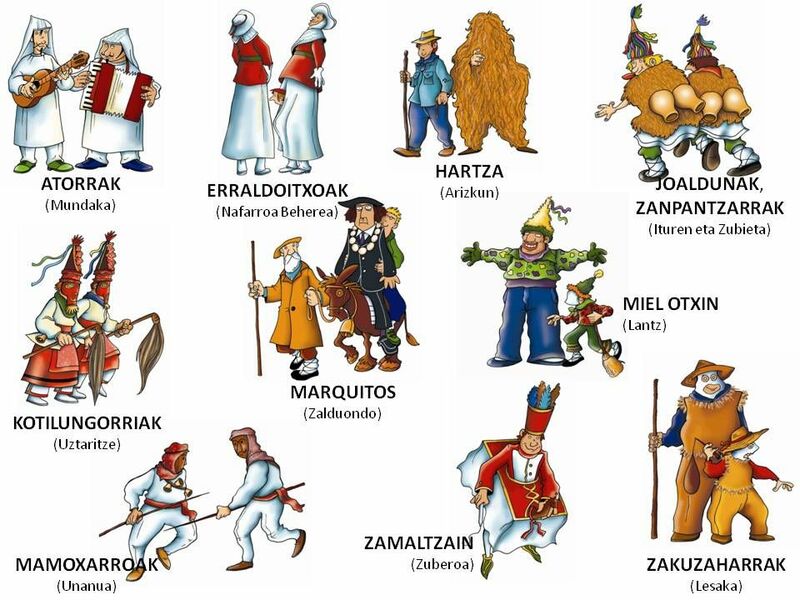 The fans of the Basque Athletic Club de Bilbao have the strongest regional identification with their Basque heritage: fans identify as either only Basque or Basque and Spanish, but not exclusively Spanish. The fans of Real Madrid are the most right-wing leaning, and most likely to define themselves as entirely or partly Spanish. Llopis-Goig`s research concludes that the symbolic import of these clubs remains important for political-ideological identifications, while radical, exclusive and homogenizing loyalties are not as prevalent as stereotypes would have us believe. This contribution was inspired by an episode the author witnessed in Arrasate and Azpeitia in the Basque Country: Basques invited a Catalan human tower team, the Castellers de Barcelona, to build their breathtaking structures while Basque voted on a symbolic referendum about independence from Spain. 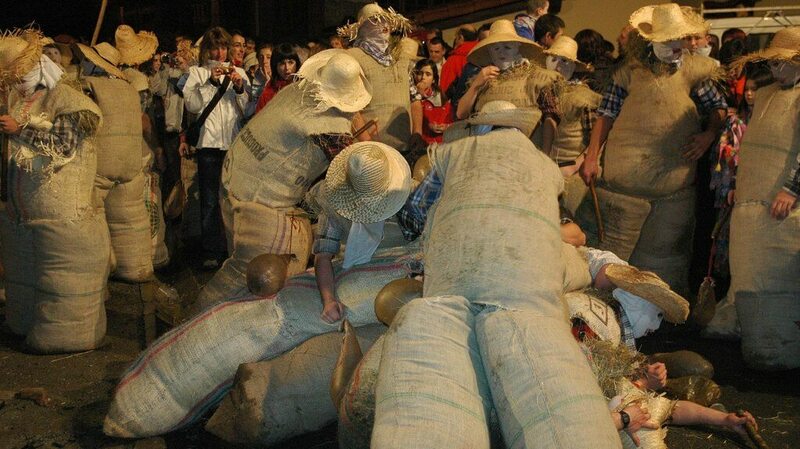 This old traditional sport is an emergent symbol of Catalan nation building for the current sovereignty process, and the performance in the Basque Country expressed sub-national solidarity in Basque and Catalonian desires to vote about independence. The iconicity of tower building, and the sport`s ethos of cooperation express joint efforts in the pursuits of regional autonomy. The author takes the emblematic Catalan liberty song, Lluís Lach`s L`estaca (The Stake), which was performed at the event, as a metaphor for the agonic state-region relationships of Spain. During the Franco dictatorship, the stake was an image that tied people, and did not allow them to walk freely—a logic Basque and Catalan pro-independence actors argue they continue to feel. Pulling the stake from several sides, however, wears it out and eventually causes it to collapse. Lluís Lach`s stake metaphor maps a particular political geography of Spain: the agonic relationship between the center (stake) and the periphery (pull away regions), as well as solidarity and united struggle among them. Sports have eminently contributed to this agonic relationship. Vaczi examines how the two political peripheries have progressively conspired to “wear out” Spanish sovereignty through sport and physical culture, which are particularly apt to present these agonic interactions due to their physicality.